Following May's exuberant jump (revised even higher to +1.3% - biggest since Sept 2017) which coincided with a massive spike in consumer credit, June's retail sales growth slowed notably (+0.5% as expected). 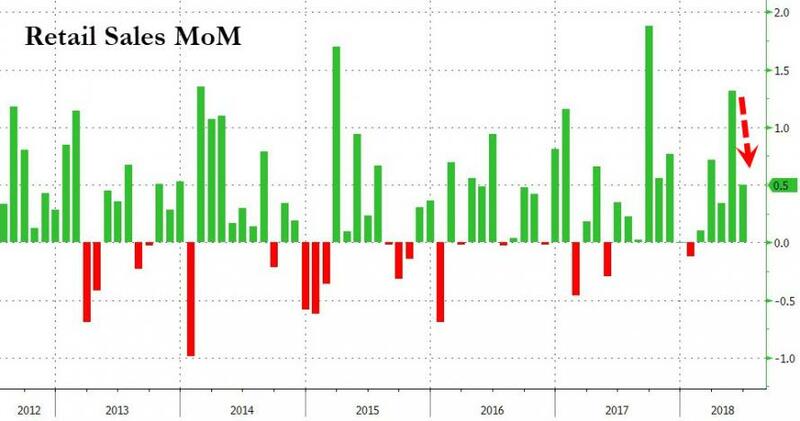 Retail Sales ex-Autos beat expectations, rising 0.5% vs 0.4% expected, but slowing dramatically from an upwardly revised May spike of 1.3% MoM; but retail sales ex-autos and gas disappointed. 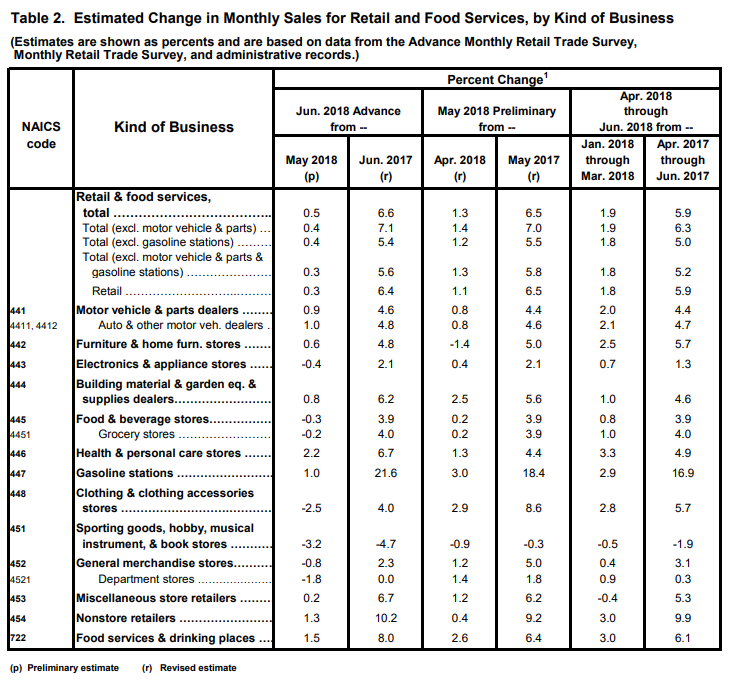 Under the hood it was a mixed picture, with 8 of 13 major retail categories showed increases, according to the Commerce Department data. 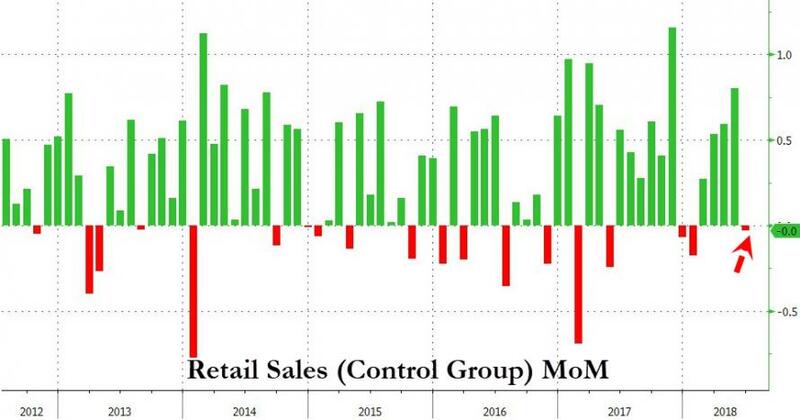 So, once again, retail sales seems as dependent on the gusher of available consumer credit as any sentiment-driven impact.